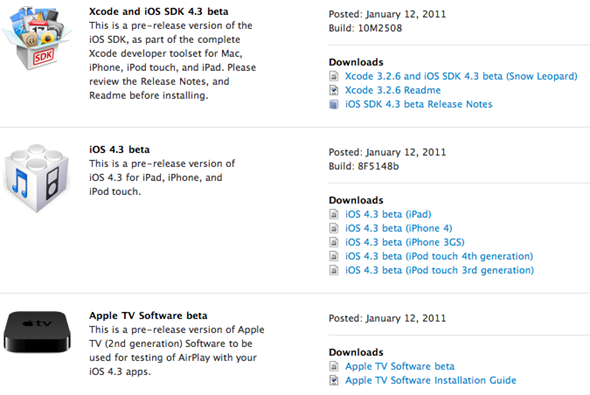 Apple has just released iOS 4.3 Beta for iPhone, iPad, iPod touch and the second-gen Apple TV. This build is meant for developers only. Only members enrolled in the iPhone Developer Standard or Enterprise Program can access these bits of by signing into Apple Developer Connection. More updates on iOS 4.3 Beta as it comes.. Stay tuned ! !